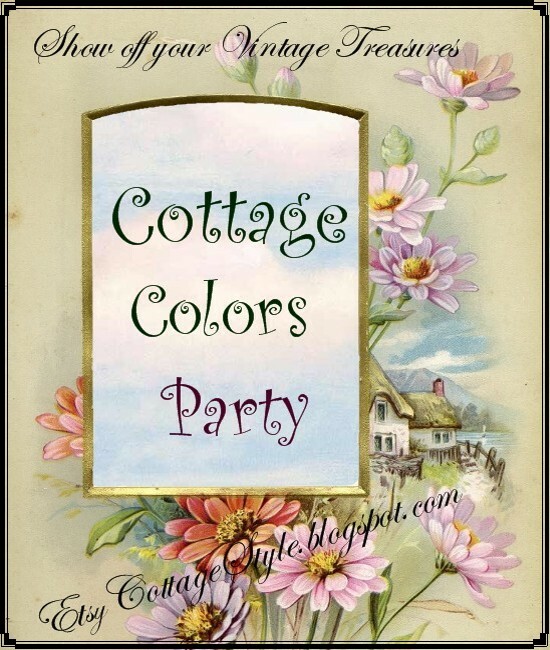 It's time again for the Cottage Colors Party. Octobers Color is Aqua...now you may wonder why....but have you noticed the sunsets of fall are filled with reds, lavenders, aquas, golds.... a glorious warmth. It is also this years 'color', so if you need a little color perspective check out this sight for a whole spectrum of Aqua/Blue Green. When you think of Sea Glass or Turquoise or the waters of Bermuda....who can forget the classic 50's color combo of Black and Aqua. 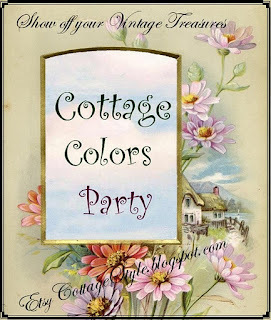 Can't wait too see your collections and creations! Thanks so much for the link up space! Just found you- I'm a fellow esty shop owner. Stop by and link up. Thanks for the info/links. I'm happy to be on board. 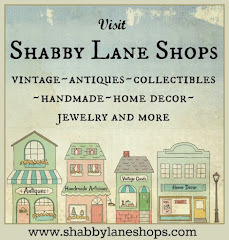 I've posted the button to my blog.